Not known for its cheap accommodation, Noosa in South-East Queensland is generally associated with high-end luxury resorts, glamorous celebrity getaways and wealthy retirees. As the most visited place in Australia for domestic tourists, it’s funny that many of us from overseas have rarely even heard of the place before we land Down Under. Mention the name of Noosa to any Australian however, and images of million dollar houses and luxury yachts will fill their imagination. Rightly or wrongly, Noosa is supposed to be the playground of the super-rich and everyone wants a slice of it, if only for a few weeks of the year! Having lived in the area for almost 12 months now however, I can confirm, that this is not the only face of Noosa. Celebrities, glamour and wealth there is, but there’s also a large budget traveller market in Noosa, with many campervan-driving, backpack-lugging tourists normally making it a stop on their way down the coast from Cairns to Sydney. Often drawn by the waves and promise of a good time, Noosa is a great place for budget travellers to chill out, enjoy the beach and soak up some of Australia’s year-round best weather. Indeed I first came to Noosa as a backpacker, hitching in from Fraser Island with a few guys I’d met along the way. 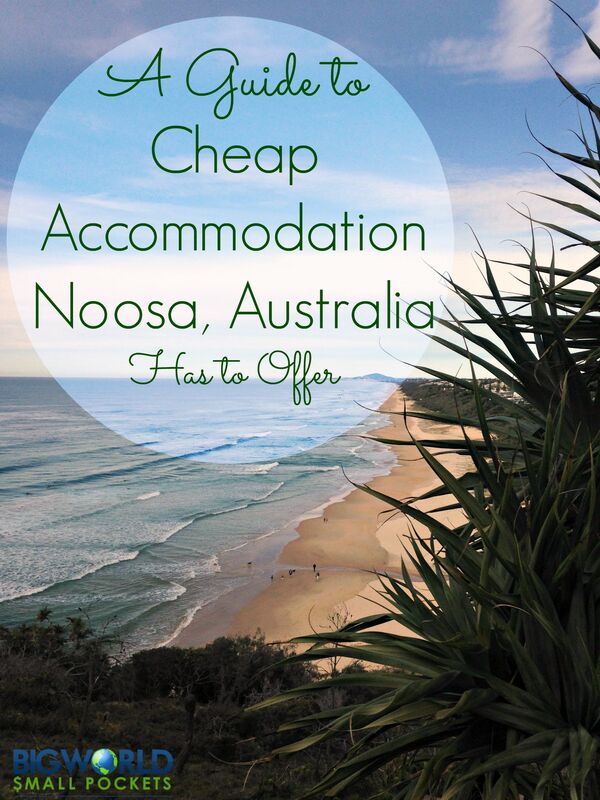 Always looking for cheap, fun alternatives while on the road, I was shocked however at the distinct lack of information about the cheap accommodation Noosa has to offer. No one seemed to know any camp spots and there was very little information available about any of the hostels. 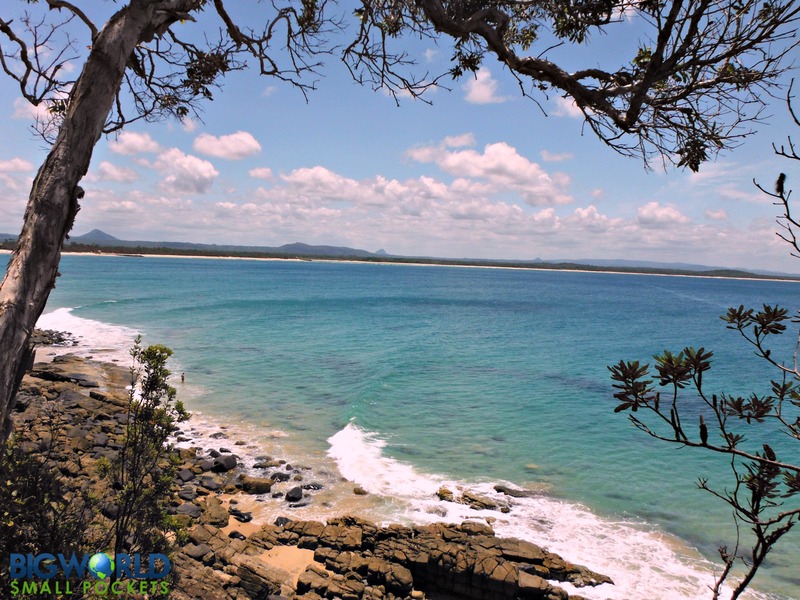 Now I’ve been here a while, however, I’ve got some fairly good information about the best, cheap accommodation Noosa provides and am writing this guide in order to share the love a little! After all, I think Noosa is a great town and I’d hate anyone to miss out thinking they can’t afford it! There are 5 backpacker hostels in Noosa situated across 3 different areas of the town. The YHA Halse lodge and Nomads Noosa are both in the Noosa Heads area, where the town’s main beach is. Flashpackers Noosa and Dolphins Beach House are located in Sunshine Beach, a gorgeous mini-suburb about a 5-minute drive away. Noosa Backpacker Resort can be found in Noosaville, an area close to the river and a long restaurant strip. Halse lodge is part of the YHA group, so members of this organisation will get a discount here. It’s the hostel closest to Noosa’s main beach and is located just minutes from Hastings Street, the town’s tourist hub. 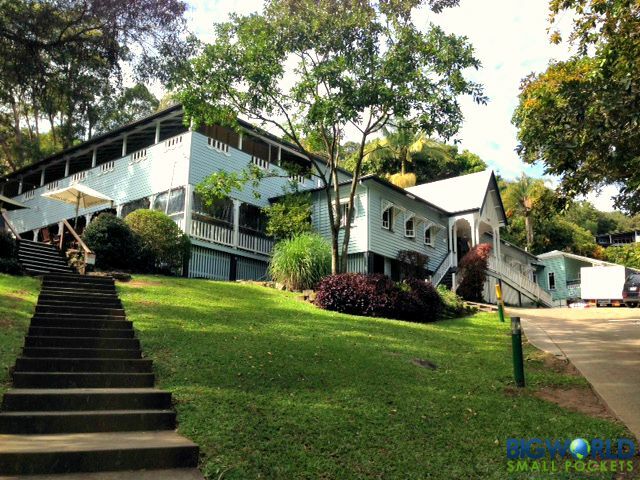 The hostel runs from inside a fully restored and heritage-listed 1880’s building with 2 acres of rainforest grounds surrounding it. This makes it a lovely place to enjoy a drink at the onsite bar, or meal in the excellent restaurant. They cater for campervans and have live music playing every weekend. *Stay here if you’re in Noosa for the surf and /or you plan on sticking around in town for a while, because you’ll also meet lots of locals who go to eat and drink here. Nomads Noosa with a bar and restaurant onsite and situated near the heart of the Noosa’s main strip, is definitely the party place. If you want to have a good time at a pool party, or a free lift to the local nightclub after the bar shuts, this is the hostel for you. Nomads is only minutes away from the shopping precinct of Noosa Junction, meaning there are plenty of restaurants, bars, supermarkets, banks and shops nearby that you can easily walk to. Nomads also has a sand volleyball court, free surfboard hire and they cater for camper vans. *Stay here if you’re in Noosa to have a good time and enjoy the nightlife! Flashpackers Noosa is located between Noosa’s main shopping area – Noosa Junction – and the gorgeous little suburb of Sunshine Beach. Unfortunately, is it on the main road between these two, meaning you will have about a 10-15 minute walk to either of them. The hostel does have a pool, courtyard with lounges, large TV room and free surfboard hire to make up for it however. They also offer a free breakfast and pride themselves on some luxury elements including great showers, mattresses and individual reading lights for each bed. *Stay here if you want a good night’s sleep and a bit of pampering without the high costs! Dolphins Beach House sits right in the heart of Sunshine Beach, minutes from the strip of restaurants, cafes and bars. It’s got a very relaxed vibe and prides itself on not being a party hostel. Each room has a maximum of 4 dorm beds and is set up like a private apartment, with its own bathroom, lounge and kitchen. There is a plunge pool, but the beach is so close that you’ll rarely use it. 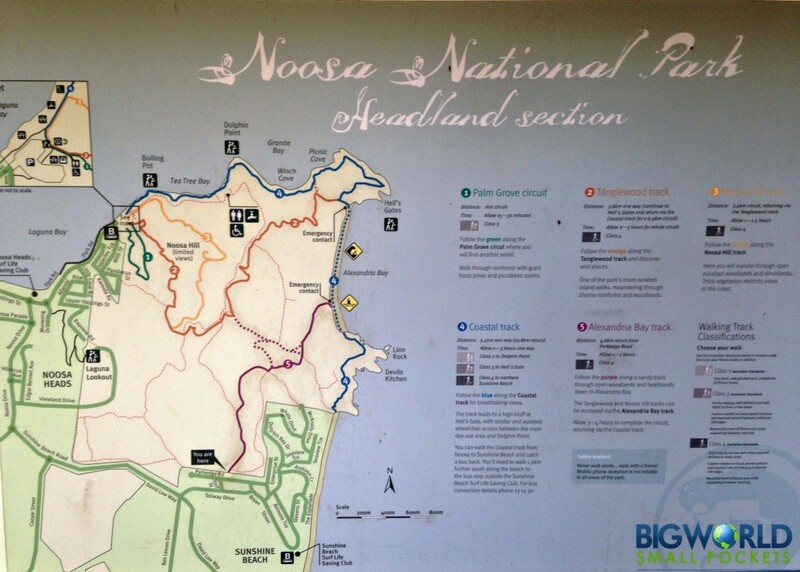 The start of Noosa National Park is also only a short walk away. *Stay here if you want to be near the beach / national park and want enjoy a smaller, quieter part of town. This is where I’ve had friends stay when they’ve been in Noosa and everyone has really enjoyed it. Noosa Backpackers Resort is situated along the river, about 10-15 minutes from Noosa’s main beach. The river has its own set of attractions including a host of cafes, shops and restaurants, free BBQ area for sunset picnics and an array of available water sport activities. With free kayak hire, Noosa Backpacker resort can get you started on the water and they also have an onsite bar and café if you’re hungry when you finish. *Stay here if you want to try stand-up paddle boarding, kayaking or rowing – the gentle river is a great place for beginners. Dismayed at the price of hostels in Noosa, as well as the lack of camping facilities, I first tried my hand at Couchsurfing when I got here. You can read about my experience, as well as learn what Couchsurfing actually involves, in my post Catching the Couch Waves. Needless to say, my experience was an incredible one and is probably what led me to stay in Noosa, get work, make friends and create a life here. As such, I can’t recommend Couchsurfing in Noosa enough – although I have heard one rather unsettling story. My advice? Just always check the reviews written by others about your intended host. Oh and you might also want to be wary about male hosts who say there only want female surfers! Aside for that however, I really do think the Couchsurfing network is a great way to meet local people and quickly get to know an area like Noosa. It worked for me! One great option, if you’re looking to stay somewhere other than hostels in Noosa but still want a reasonable price, is Airbnb. 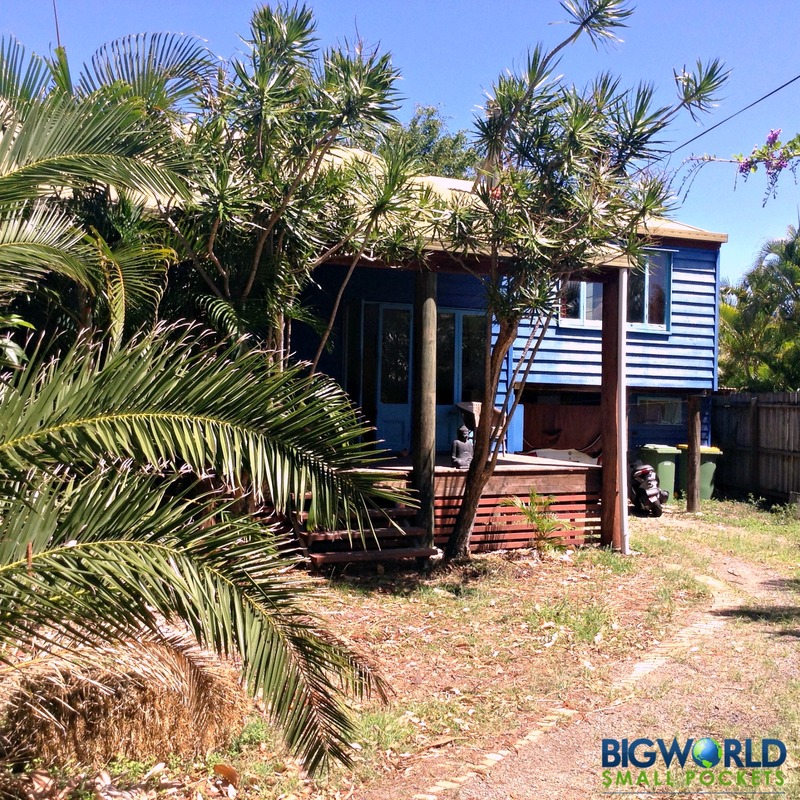 There are a range of accommodation choices I’ve come across, from private rooms, right through to apartments and they are spread out across the whole Noosa area. This gives you more flexibility to choose accommodation that suits your needs. Want to be right on the beach, amongst the action, or out in the quieter surrounding area? Airbnb allows you to peruse all these options and more. Book your Airbnb stay here and get $32 AUD in travel credit. I’ve used the Airbnb network down in Melbourne and found it a fantastic way to get a good insight into local life and to stay in location I simply couldn’t have afforded to otherwise. 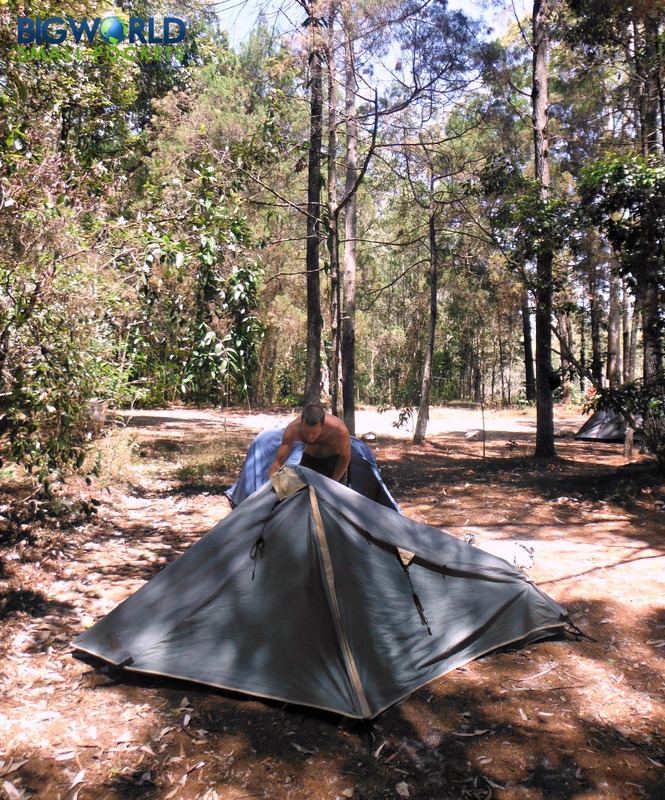 Camping in Noosa is essentially impossible to find and even in the National Park it is outlawed. Just along the river in Noosaville however, is the Noosa Sea Scout Club. Their Badgers Wood Camp Ground is geared towards camping for groups and schools, but individuals are allowed to on occasion. There is a camp kitchen and bunkhouse, with toilet facilities, gas BBQs and hot showers. The campsite is a large grassy area with some shade giving trees and is very centrally located. You must call ahead however to confirm whether there is availability. Ring the Booking Officer on 5473 0028 or email them at bookings@noosaseascouts.com.au. I’ve never camped here, but as the only place within Noosa I know about it’s definitely worth a shot. You are also able to camp outside of town in an area called the Noosa Everglades. Here there is a sort of hostel called Gagaju Bushcamp. It’s situated on the edge of the river, between 2 lakes and normally hosts groups of backpackers looking to do kayak tours. However, you can also just go and camp here yourself for $10 a night if you have a tent. It’s very rustic and basic, but wonderfully quiet and peaceful, with kanagroos hopping around and a little beach to sun yourself on. There is a handy camp kitchen, showers and toilets, but no internet or phone reception, so bring any other entertainment you might need! I stayed here for a few nights on my way to Noosa and really enjoyed the serenity of the place and swimming in the river. It was also the first place I saw a roo! woohoo! I asked nicely when I was there and was also given the use of a free kayak, which is something to think about if you venture out here. The bush camp will pick you up from Noosa bus station for free at certain times of the day, but it might be good idea to call them beforehand to check. Also, you will need to take all your food out there with you as there are no supplies at the camp. So that’s my round up of the cheap accommodation Noosa has to offer. I hope it will give you some more information about the town and enough inspiration to visit this gorgeous place I’m coming to call home! For more info about flights, hotels and car hire in Noosa, check out Zuji Australia . For ideas about budget-friendly things to do in Noosa, check out my post. This page contains affiliate links, meaning BWSP may receive a small commission on any purchases.